In furtherance of its claim as the country’s biggest drugstore chain, Walgreen’s recently announced a new service to further its service aim for its customers. 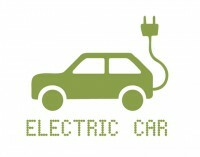 The company is now entering the electric vehicle services market by becoming the biggest host for public charging of electric vehicles by the end of 2011. The company is already expanding into stores in Houston, the Dallas-Fort Worth area and in Chicago. The company is signing partnerships with 350Green, an infrastructure provider to perform the charger installations. The first charging stations would be set-up in the New York metropolitan area and 350Green would be installing a total of 425 charging stations. Other partners would be the Car Charging Group and NRG Energy. The charging stations, according to Tim Mason, President and Co-Founder of 350Green, would have 240-volt chargers to be owned by 350Green. The chargers can be used for $3 to $4 for an hour and a half connection, plus the cost of electricity used in the charging. The Walgreen plan for New York would have sixty stations, ten of which would be 480-volt direct current fast chargers. This is in line with the Walgreen grab and go customer market. The idea would be for clients to stop by the store on the way home from work and plug in to these chargers while they shop. This move by Walgreen is just one of the many companies assisting the current thrust to make electric vehicles go mainstream. According to a recent Clean Fleet Report by Accenture, the forecast is that by 2015, there would be 1.5 million electric vehicles and this would increase to ten million electric vehicles by 2020.